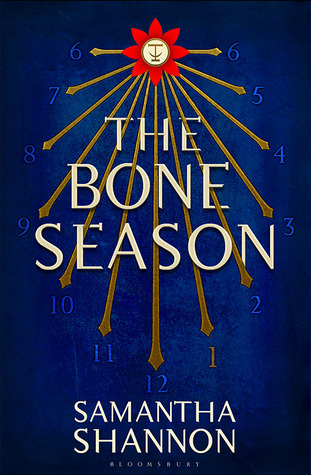 You're only 21 and The Bone Season is one of the most highly anticipated books of the year. How does this make you feel? Quite scared – it’s such a personal thing to show your book to the world, like baring a piece of your soul, and the anticipation has been much bigger than I expected – but I’m looking forward to readers being able to meet the characters and get to grips with the world. 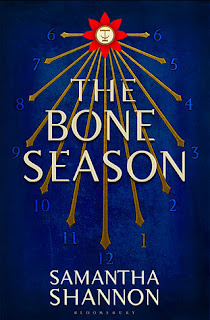 When writing The Bone Season, did you ever think that it would make it onto book-store shelves? I didn’t dare hope at the time. I’d previously written a novel which had been rejected by several agents, so my confidence had taken a bit of a hit. It was only when I worked up the courage to show the first chapter to a visiting professor at my college that I realised it might have a chance. Where did you get your inspiration for your novel from? 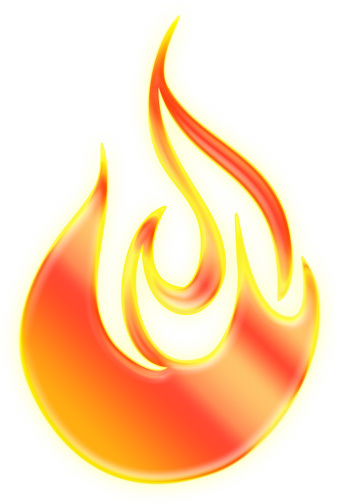 The first spark was set off by my internship at a literary agency in Seven Dials, London in 2011. Seven Dials gave me a strong idea for a setting, which triggered a lot of interesting ideas for an alternate reality – a different Seven Dials, shaped by an extraordinary event. The word 'clairvoyance' came to me (there are a few shops selling tarot cards and crystal balls in the area, which I think planted the idea subliminally). As soon as that word appeared in my head, I fell into this strange daydream about a girl having the same day at work as I was having, but she happened to be clairvoyant. I started designing clairvoyant types on the same day. I set out to create a new reality that bore resemblances to our own, but with some disconcerting changes. The Bone Season is set at a time where a Government called Scion is in place - why did you decided to set it in the future, with a new Government etc.? I thought the idea of an urban fantasy set in the future was quite exciting. Fantasy is generally influenced by the past, typically the Middle Ages: swords, knights, jousting and so on. I also needed there to be a considerable length of time between a key event that happens before The Bone Season begins, in 1859, and Paige’s story, which comes after it. Setting the story in 2059 meant two centuries had passed since that event. The world in The Bone Season is so vividly imagined, how did you get to a point where you understood it so well? I started locally and worked my way out. I designed the clairvoyant types and the dreamscape and the æther – the ‘ethereal’ mechanics – then started to think about what a character like Paige would experience in her everyday life. I imagined what her home in Seven Dials might be like, then what London and England might be like, then worked my way out until I had a sense of how the whole world would look in this alternate timeline. I wanted the story to feel realistic and believable despite the fantasy element. The main character in The Bone Season, Paige, is a Clairvoyant: has the supernatural always interested you? Yes, very much so. I’ve always wanted to believe in the supernatural, but I’ve never had an experience to justify it. I love the idea of a world existing beyond our own. Alas, I have yet to display any clairvoyant powers myself. 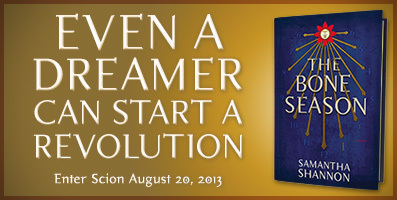 The Seven Orders of Clairvoyance plays a really important part in the book, is this something you created yourself? And, what type of Clairvoyant would you like to be? The Seven Orders system is based on a lot of research I did into the many types of divination that humans have claimed to have over the years, from ancient Roman augury to nineteenth-century Spiritualism and Native American spirit walking. I wanted there to be a sense of tradition and inheritance to the system, but also put my own unique spin on each type. So the system itself is my idea, but I drew a lot of influence from historical notions of ‘gifted’ people. I’d love to say I’d be something really cool, like a sibyl or a dreamwalker, but I get the feeling I’d be something quieter, like a bibliomancer or a psychographer (writing medium), really. I once got told I had a green aura, which means I’d be a medium, so psychographer is looking likely. Paige is a fiery, feisty yet coffee-loving heroine: does she bare any resemblance to you? We both love coffee, but other than that, not really. She’s much more hotheaded and stubborn than I am. I live vicariously through her. Quite fitting for an interview on Dreamer's blog! Which of the characters, other than Paige, was your favourite to write about and why? Warden, absolutely. He’s been with me the longest out of any of the characters, far longer than Paige or Jaxon or any of the others – he’s lived in my head for about six years. I know him very well, and it’s one of my great pleasures to write about his interactions with Paige. They’re polar opposites in many ways, but I love writing dialogue between them. The Bone Season has already been optioned for a book-to-screen adaptation - if you were the casting director, who would you choose for the main roles? Benedict Cumberbatch for Jaxon and Alexander Skarsgård for Nick. I can’t imagine who would play Warden and Paige. They look a very specific way in my head, and it’s hard to match that with anyone in real life. Thank you so much, Samantha! Thank you for having me! Really great interview! I honestly thoroughly enjoyed reading it and now I'm intrigued and curious. You've got me so excited to read my copy (Infact I now have 4) which I got at the launch today! Sounds like you really enjoyed it and I'll be sure to discuss it with you when I'm done. Thank you, Sunny! So glad you enjoyed it, I was so excited to ask Samantha some questions because The Bone Season and her own journey to publication is so interesting. Especially with her being only 21! I hope you had a fab time at the launch and I did enjoy The Bone Season. It takes a few chapters to really begin though, but after that, it's great! I know, right? Some of my favourite authors are now the women who have published so young. They're so talented! I found The Bone Season intimidating at first, and it took until around page 60 to kick in for me. I'd love to hear what you thought when you get back around to it!